Brewers Wrexham is an eye-catching new store in the city centre. 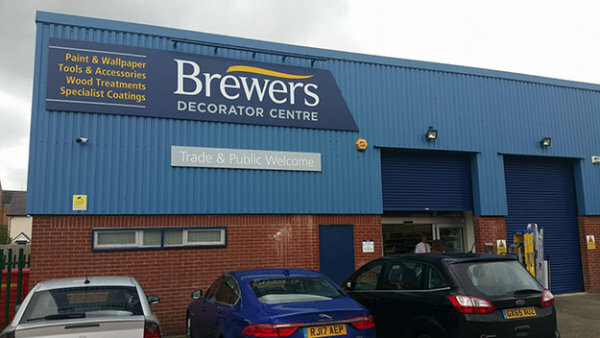 We’re also the only dedicated decorators’ centre in Wrexham serving both trade and retail customers. 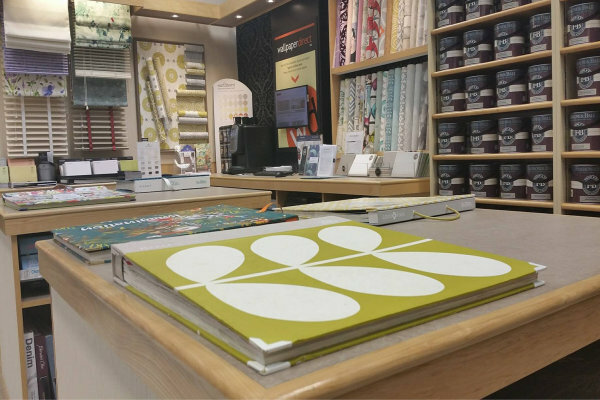 So, unsurprisingly, we offer the widest choice of trade paints, designer paints and decorating sundries in the town. 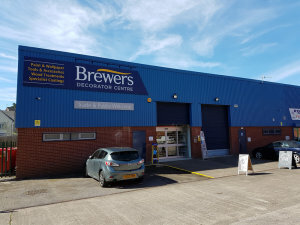 You’ll find a welcoming atmosphere, bright clean displays, a dedicated Wallpaper Direct area with online search, and a range of paint mixing facilities. If we don’t have what you need in stock, we can lay our hands on it quickly. You can also book an interior design expert for a consultation on Mondays. You’ll find us next to Topps Tiles and CEF Electrical on the Cambrian Price Industrial Estate on Rivulet Road, just off the A525 out of the city centre. We’re only a few minutes’ walk from the Eagles Meadow Shopping Centre and the town centre, but we have plenty of customer parking and ready access for wheelchair users. From the roundabout on to Salop Road, turn left on to Rivulet Road. From Rivulet Road, turn right on to Cambrian Price Industrial Estate. From Rivulet Road, turn left on to Cambrian Price Industrial Estate.